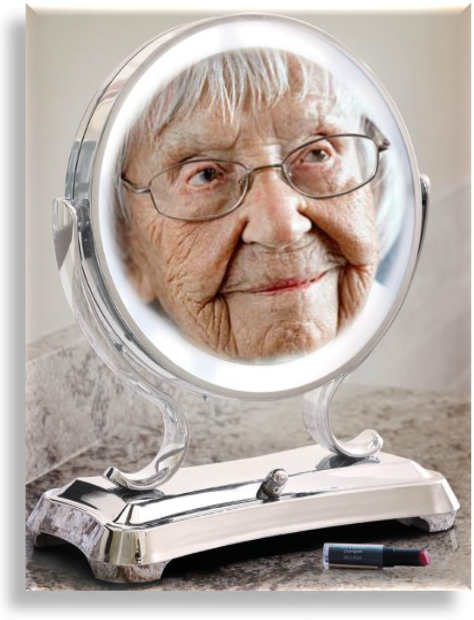 Light Up Mirror | Your Aging Skin's New Best Friend! mirror on the wall, what's the best beauty tool of them all? A magnifying light up mirror of course! Makeup mirrors reveal the truth. The good, the bad and ***GASP*** the downright ugly! A magnified light-up mirror shows every little flaw extraordinarily clearly. True, it can be quite shocking at first, but in the long run this wonderful (and essential beauty tool) shows you what aging skin issues you need to address. Without a doubt. . .
Everyone, everywhere should be using makeup mirrors! Let's face it, the older you get, your youthful 20/20 vision tends to diminish along with everything else. It's time to befriend a powerful magnifying mirror that will clearly show you the truth of the toll that age has taken on your skin. Isn't it time to light-up your aging life? How else are you going to clearly see what you're up against in identifying the aging skin care issues that need to be addressed? But truly, you need to make it easier to see so you can effectively manage all those emerging little facial flaws, particularly for those of us whose eye sight isn't what it was once upon a time. A magnifying light up mirror shows every little flaw extraordinarily clearly. As disheartening as that can be. . . It's one of those necessary evils. Though we all must make sacrifices when maintaining our coveted ageless appearance. The happy news it that a magnifying, lighted cosmetic mirror can be found just about anywhere. Although be forewarned. . . The greater the magnifying power the more expensive they are. And to be perfecting honest, I happen to think that they are stupidly expensive. But, that being said, a good lighted cosmetic mirror is well worth the expense. It's best to try different magnifications prior to purchasing one to make sure that you get one that works well for your (perhaps failing) eye sight. A 10X's magnifying power light up mirror will last you for many years, even if your eye-sight continues to deteriorate over time. A good place to experiment with the different magnifying levels to find the best one for you at a reasonable price is right at your local discount department store chain like WalMart. 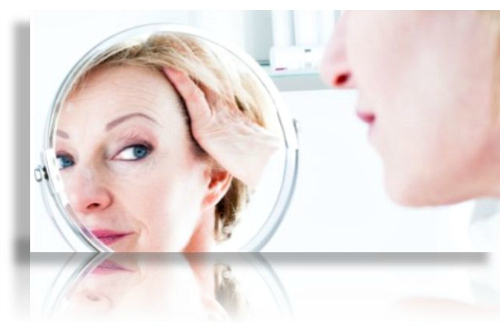 Once you are able to clearly what your aging skin care issues are, you can then begin to develop a skin rejuvenation regimen that will address your aging skin care concerns. and quite well at that! 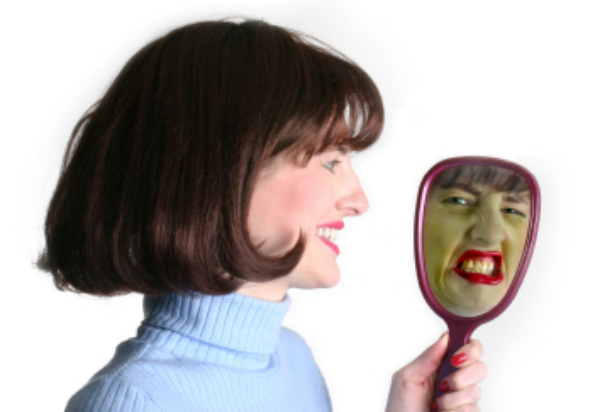 Use the mirror as an essential beauty tool to inventory your aging skin care issues. Then take charge and get to work on customizing your own anti-aging skin care treatments and strategies. Isn't it past time to bring a shining light into your life? If you don't have a lighted cosmetic mirror yet, you just don't know what you're missing. . . Drum roll please. . . Your very own magnifying light up mirror. . .